A few weeks ago, photographer Bert Buijsrogge and myself were invited to come over to La Chaux-de-Fonds and have a look at the Girard-Perregaux manufacture. Our factory tour was given by Willy Schweizer, who has been working for the Girard-Perregaux company since 1986. As a historian and curator of Girard-Perregaux, Willy Schweizer is probably the best man in the company who can guide you and answer your questions. Our tour started at the blue building in La Chaux-de-Fonds, the Girard-Perregaux head quarters. The head quarters is where all staff resides, which means that all PR, marketing, supporting staff is located in this blue building. The building is blue, because that was part of the Girard-Perregaux’s corporate image some years ago. 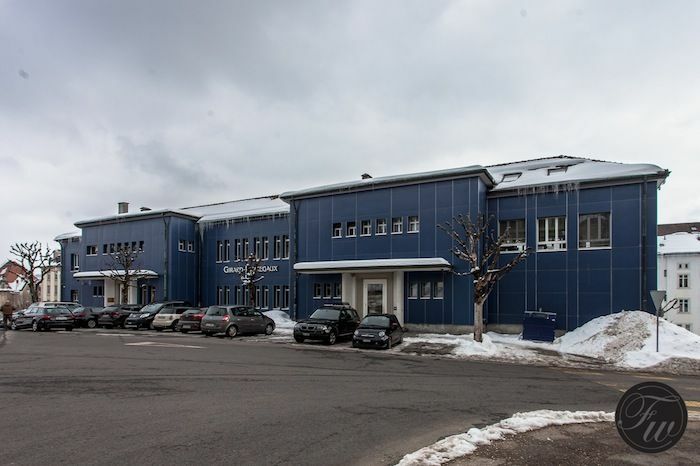 Also in this blue building, are the workshops for the haute horlogerie department of Girard-Perregaux. 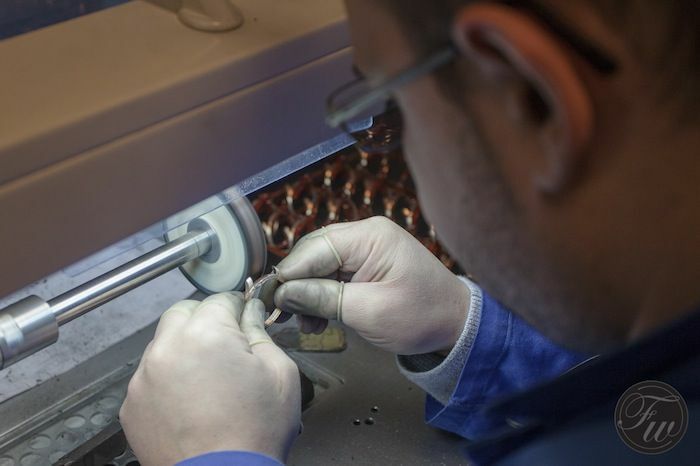 All complicated watches are being manufactured in the workshops in this building. However, the first part of our tour was in a building a few hundred meters down the road. A beautiful restored building that Girard-Perregaux uses for manufacturing their watches and those of Jean Richard. 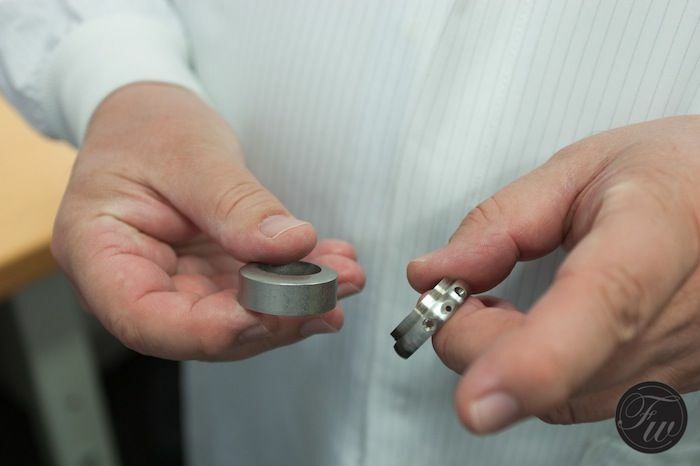 Everything is being performed here, from research & development to the logistics processes. In between, the design department, case makers, movement makers and assembly are all in this building as well. It was almost if there were no secrets at Girard-Perregaux, we even got to see some very cool stuff that will be unveiled during BaselWorld 2013. No pictures of that of course, but for the rest we were pretty free in taking photographs of all departments we’ve seen. We also noticed – and we knew that already of course – that Girard-Perregaux does a lot of work on movements for other brands. 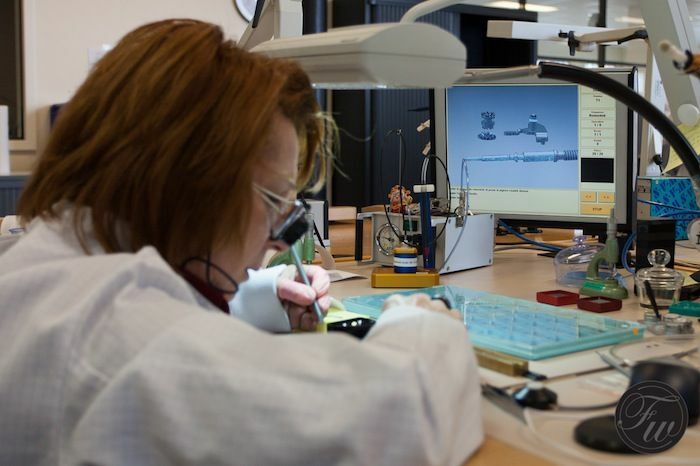 In La Chaux-de-Fonds, Girard-Perregaux manufactures approximately 12.000 GP watches per year, 4.000 Jean Richard watches and about 7.000 movements for other brands. Although much less than other well-known Swiss brands, I was amazed by this high number anyway since GP is not that big and has approximately 250 employees in Switzerland. Since 2011, the Sowind Group (which is the holding above Girard-Perregaux and Jean Richard) became a subsidiary of PPR. PPR has 33,000 employees world wide and besides Girard-Perregaux and Jean-Richard, also have the following luxury brands: Gucci, Bottega Veneta, Saint Laurent, Alexander McQueen, Balenciaga, Brioni, Christopher Kane, Stella McCartney, Sergio Rossi, Boucheron and Qeelin. 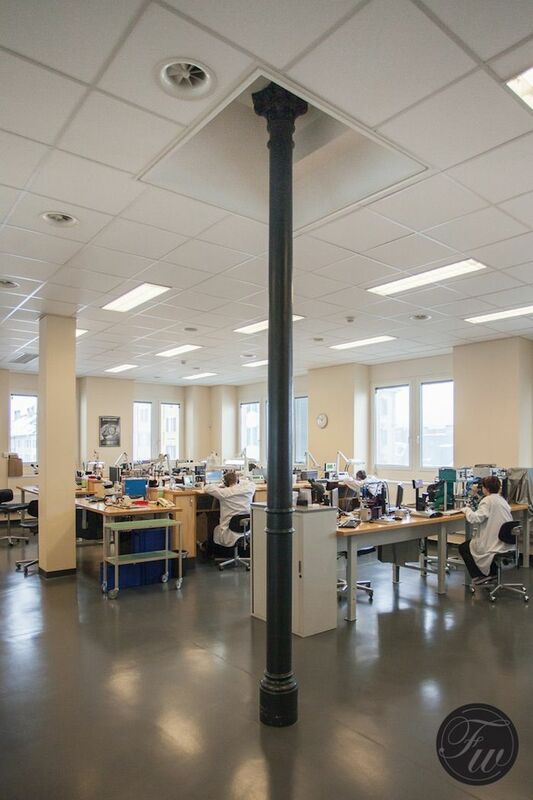 In the factory building that is just a 5 minute walk away from the Head Quarters, we were asked to put the white watchmaker coats on and got a small introduction about the building and its history. A large building of almost 100 years old that has firm roots in Swiss watchmaking as several brands used this building as their factory through the years. Before Girard-Perregaux bought and restored this building, it was used as office space by several companies. 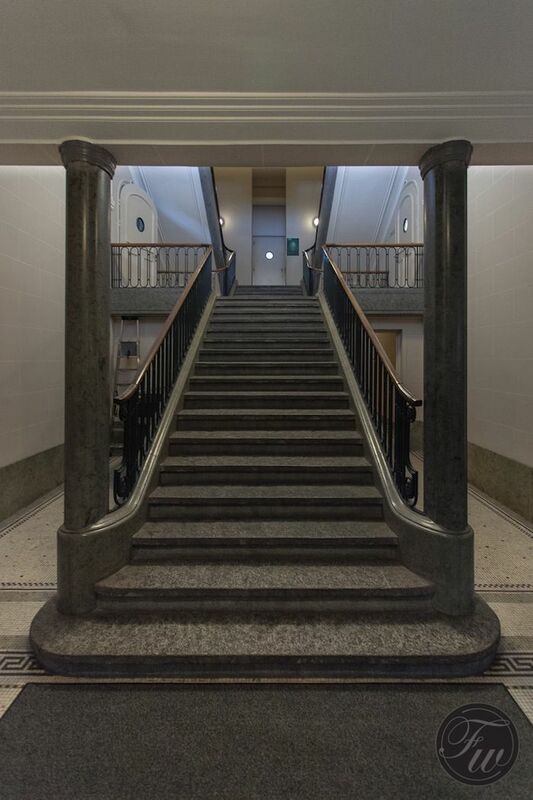 The restoration is a job well done, as the building has the correct atmosphere. One of modern watchmaking and heritage combined. Especially the stair cases are truly impressive. 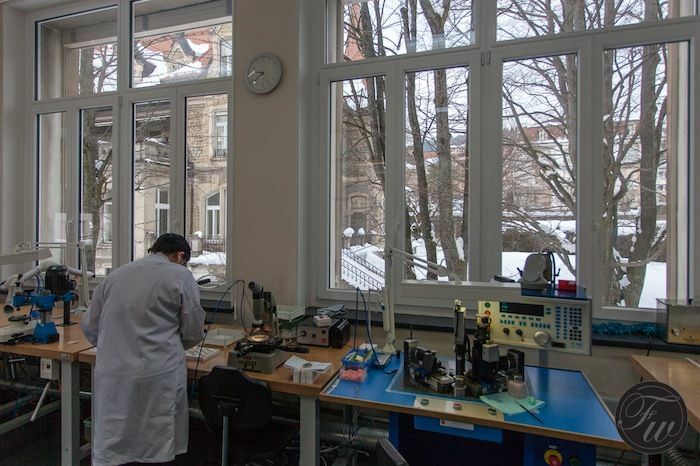 The first department that we visited is in charge of manufacturing watch movements for Girard-Perregaux. 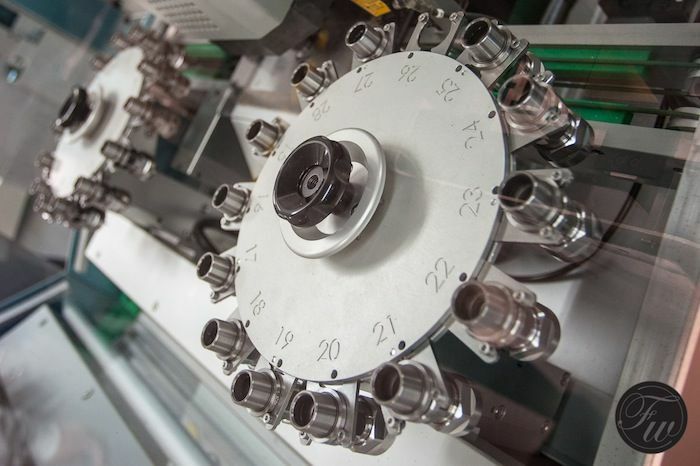 The modern CNC machines are either stand alone or bridged and fast and precise workers. 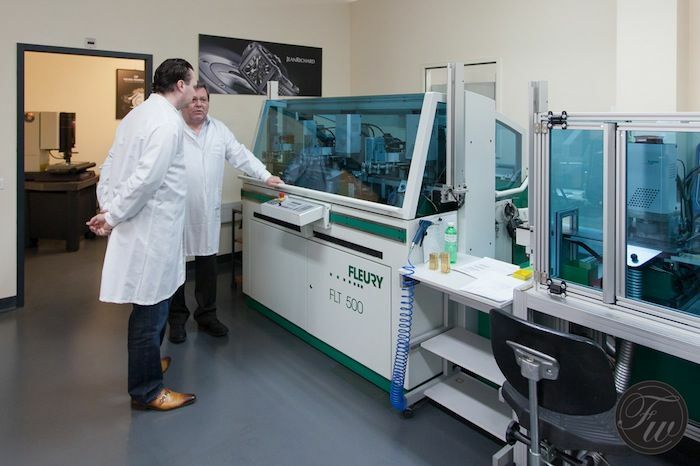 A separate room which is attached to the machinery room is there to perform tests (quality control) to ensure the highest possible quality of movements. 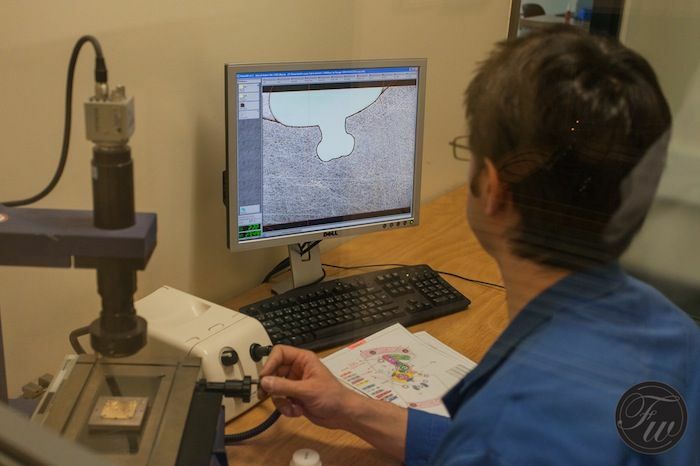 Willy Schweizer told us that it is very important to know when tools (in the CNC machines) are worn out, as these can cause damage to the watch movements. 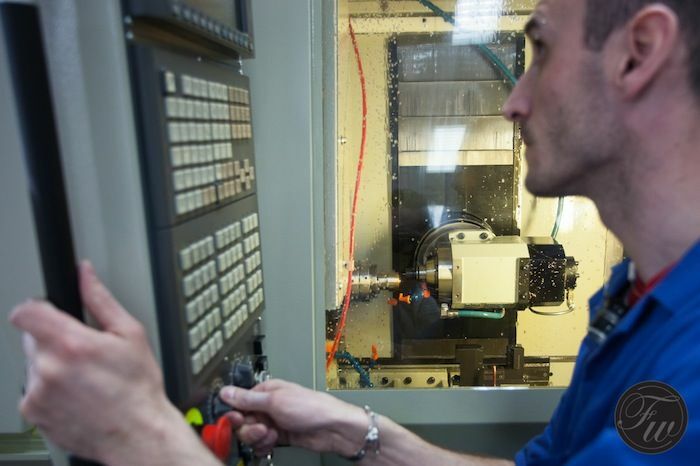 Timely replacement and periodic checks of the CNC tools is therefor mandatory. 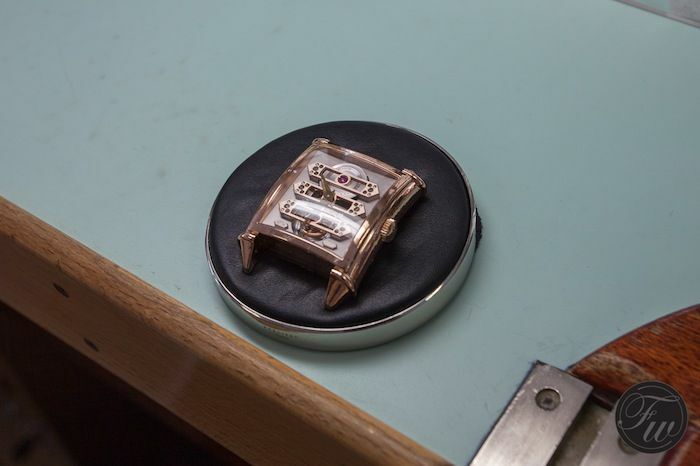 Girard-Perregaux not only manufacturers their own movements, they also produce their own watch cases. 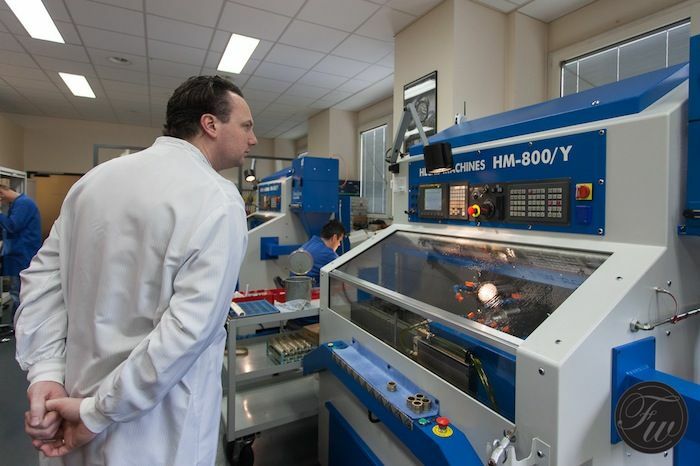 All CNC machines in this department have an identical twin. 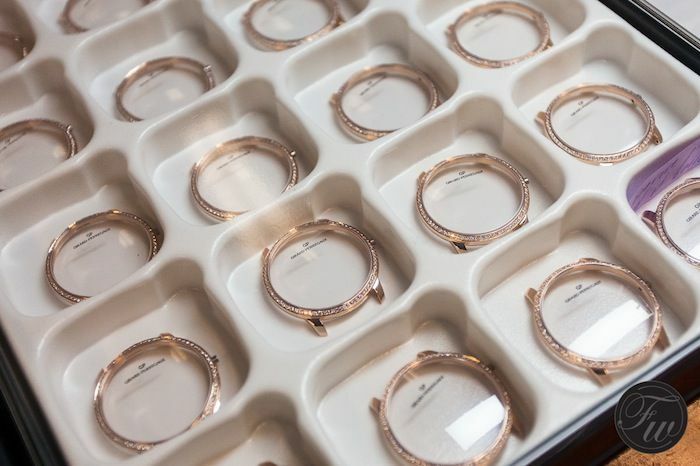 Not necessarily to function as back-up equipment, but there is one for stainless steel cases and one for gold cases. 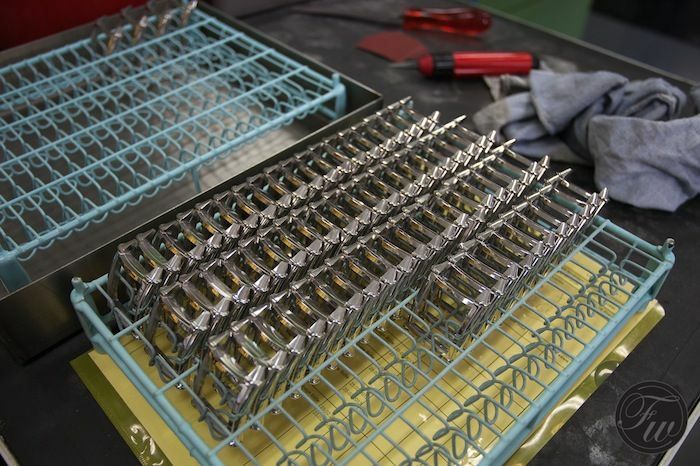 A mechanical movement needs some finishing, perlage, stripes and so on. 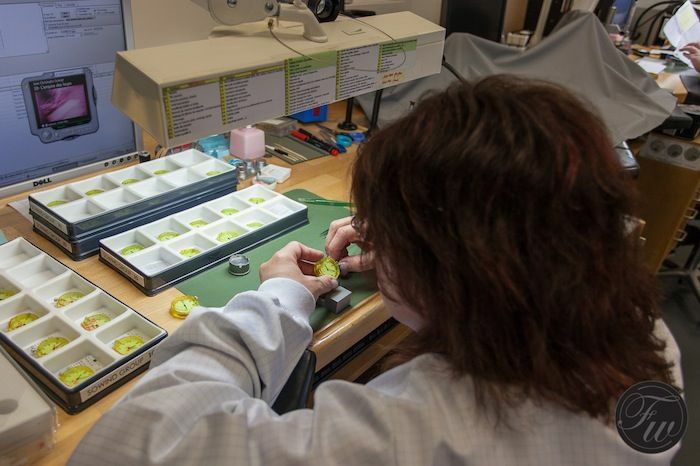 The Girard-Perregaux manufacture has a special department with specialists who finish all movement parts before it gets assembled. The department with watchmakers was quite big and they all work on the four families of movements that Girard-Perregaux has in store. The calibers GP2700, GP3200, GP3300 and GP4500 families are the basis for a number of (modular) complication designs. 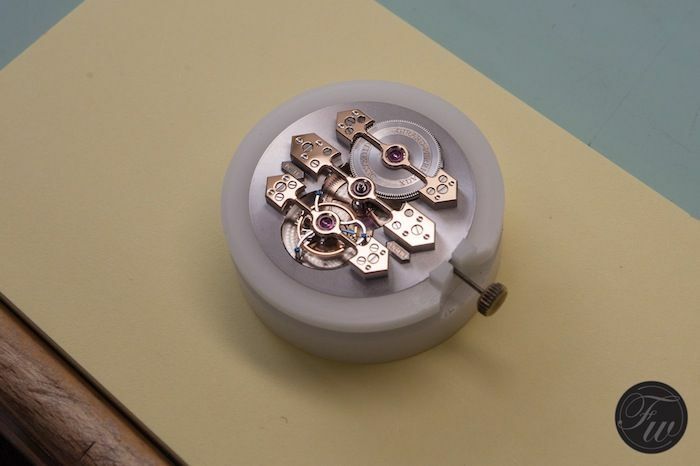 Besides these movements, there are also quartz movements and the haute horlogerie movements. 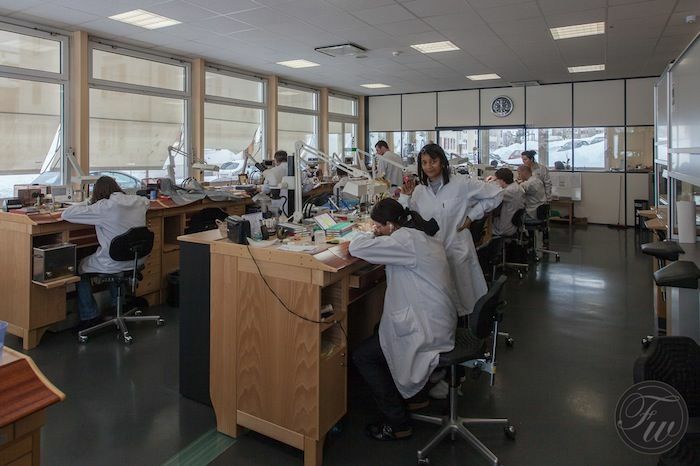 We visit the workshop where the haute horlogerie watchmaking takes place later on. 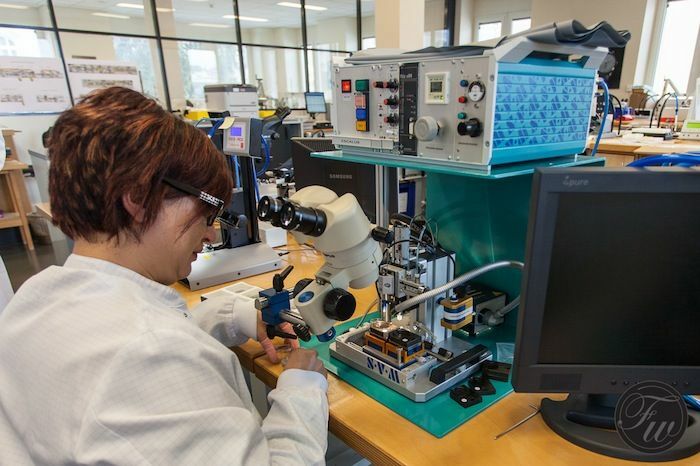 The Girard-Perregaux watchmakers work with the latest technology to assemble and test their movements. 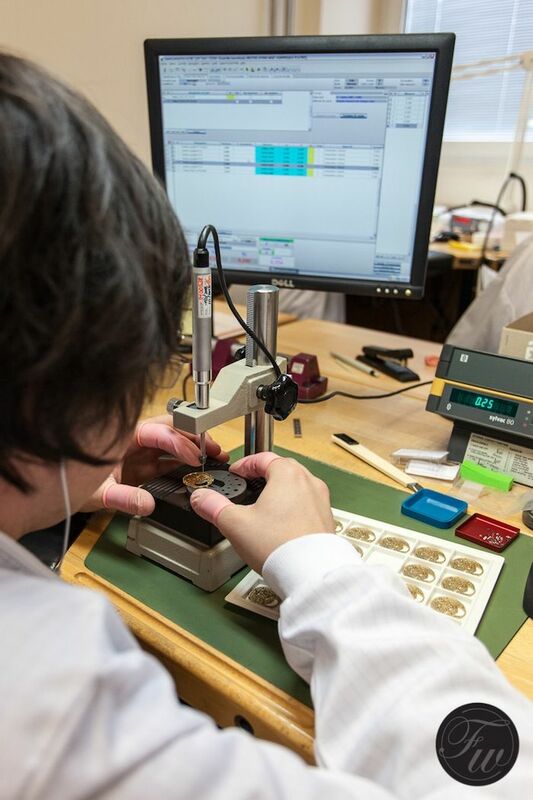 The watchmaker work bench has LCD screens and keyboards in order to do checks and (visual) inspection steps whether the movement has been correctly assembled. Back at the blue Girard-Perregaux Head Quarters building, Willy Schweizer also showed us the haute horlogerie department. 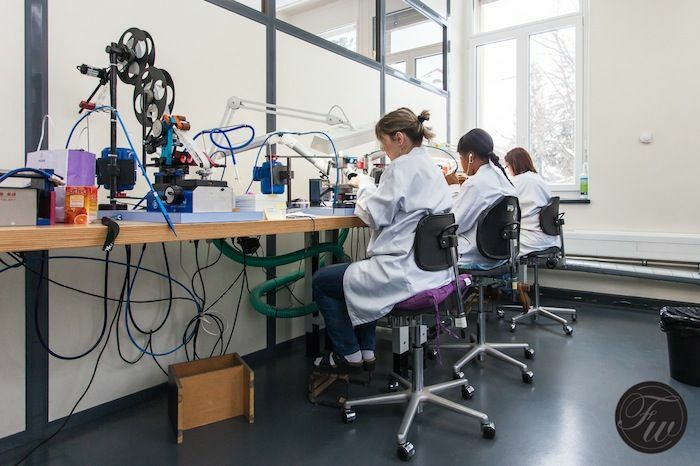 A much smaller area, compared to the manufacturing building where all other Girard-Perregaux watches are being produced. 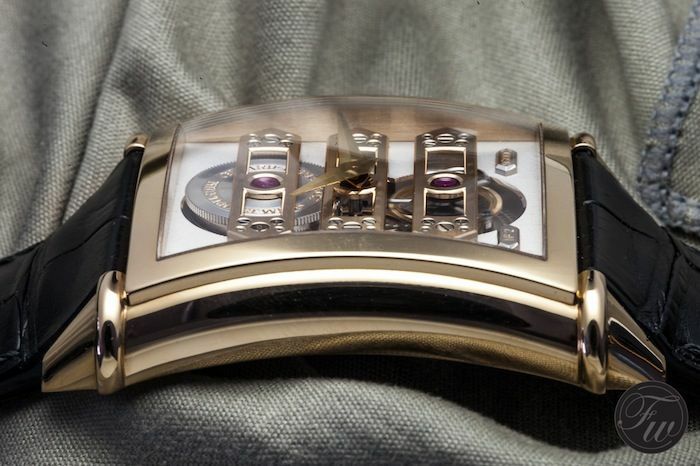 A few master watchmakers work here on (for example) the tourbillon movement with three gold bridges. It is difficult to explain in text, but the atmosphere in this department was totally different from the other building. There was a lot of cohesion between the watchmakers and we noticed that they are more ‘in discussion’ with each other about watchmaking. 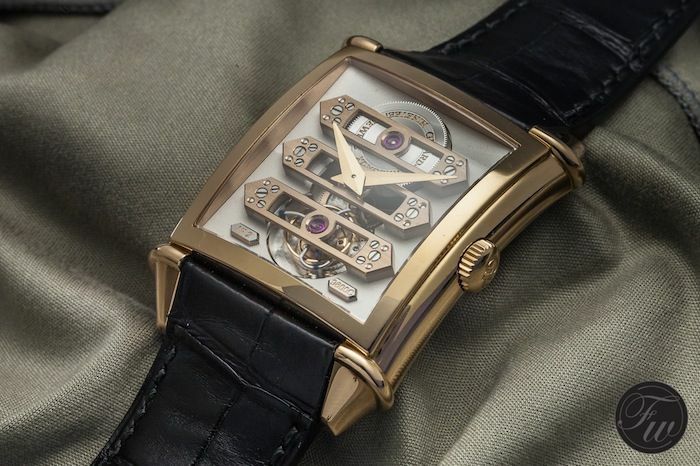 Perhaps the high-end movements and solutions require more attention and consultation from fellow master watchmakers. Whatever it was, it was very interesting to witness the passion and joy that these master watchmakers have for their work. Although we will do a follow-up on some Girard-Perregaux timepiece in the near future, we already want to show you the end result of the haute horlogerie department, the Vintage 1945 Tourbillon with three gold bridges (99880-52-000-BA6A). After the tour, we had a wonderful lunch with Willy Schweizer and Dimitra Fréchelin. The new Girard-Perregaux were presented to us by Xavier Markl, Marketing Director. We would like to thank them once again for our factory visit, amazing lunch and the product presentation. Make sure to visit the official Girard-Perregaux website.